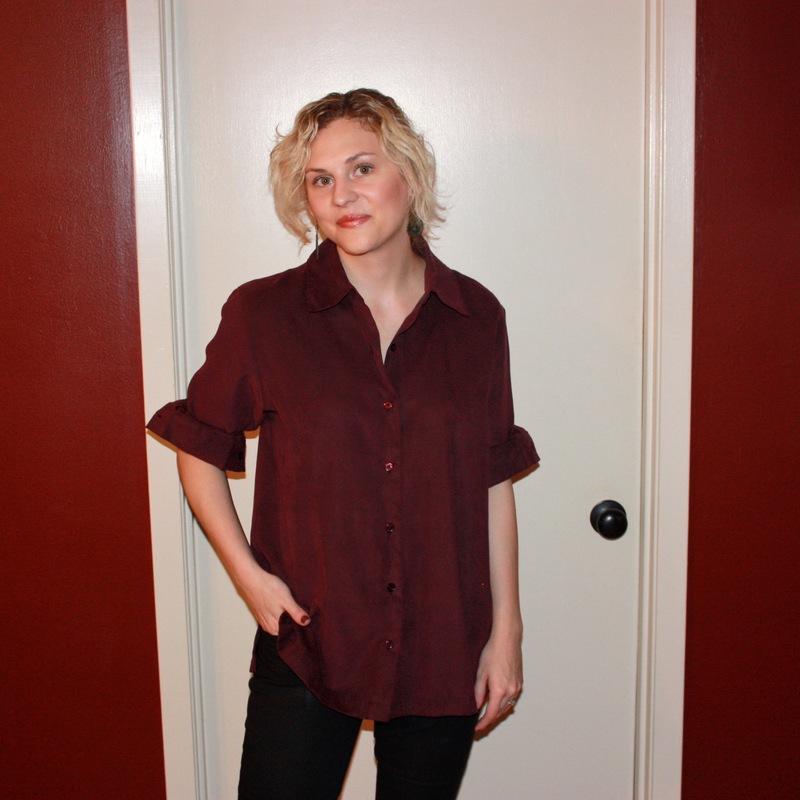 I love oversized button-up shirts and find them more versatile than tunics. Cotton tunics can be thin, shapeless, and clingy. With a larger button-up, you get the length and hip coverage of a tunic but a structured silhouette. The shirt hangs away from the body, maintains it’s own shape, and has collar that can draw interest to your face or elongate your neckline, depending on how you wear it. Another advantage is its ability to play multiple wardrobe roles: leave the bottom buttons undone and tie it up to show off a high waisted pant, wear it as an over-shirt with a silk camisole buttoned just in the middle, or sport it as a jacket with a simple tee. The options are endless. 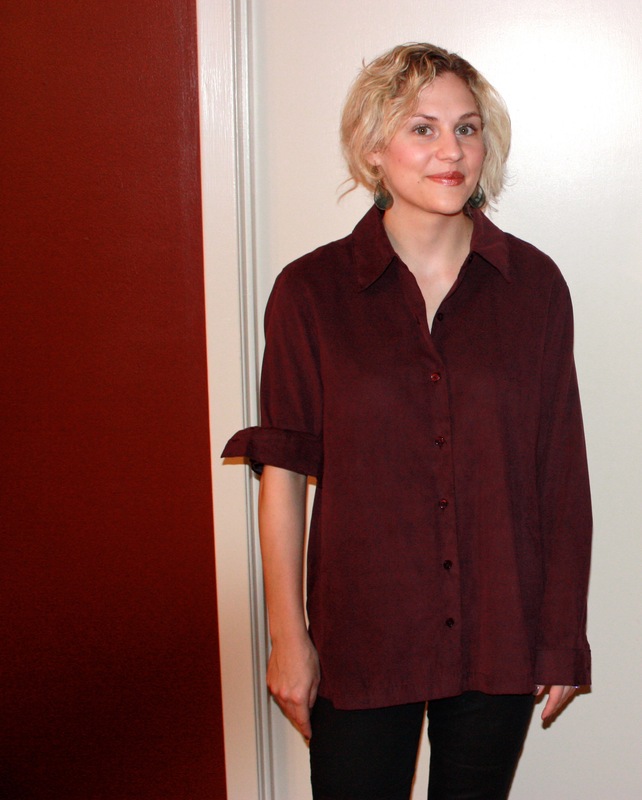 But there’s one aspect of this shirt that can be a little unflattering–the oversized sleeves. It makes sense that buying a shirt bigger than your typical size would be longer in more aspects than just the torso. Most likely the sleeves will be hanging past your wrists, but fortunately, with a few tricks, you’ll have them right where you want them in no time at all. In this photo tutorial, I’ll show you how to shorten and cuff the sleeves to right above your elbows in a way that won’t make your arms look bulky or say, “my sleeves were too long.” Now, you could apply this same technique to any length–three quarter’s perhaps?–but since it’s officially spring, I’m going as short as I can. Make sure all buttons at the wrist are undone. Grab the end of the sleeve and bring it up past your elbow. Roll… roll… roll. Think about how you would typically roll up a sleeve and do it from the crease you made in Step #3 up to the last inch or two of fabric (where the buttons are). 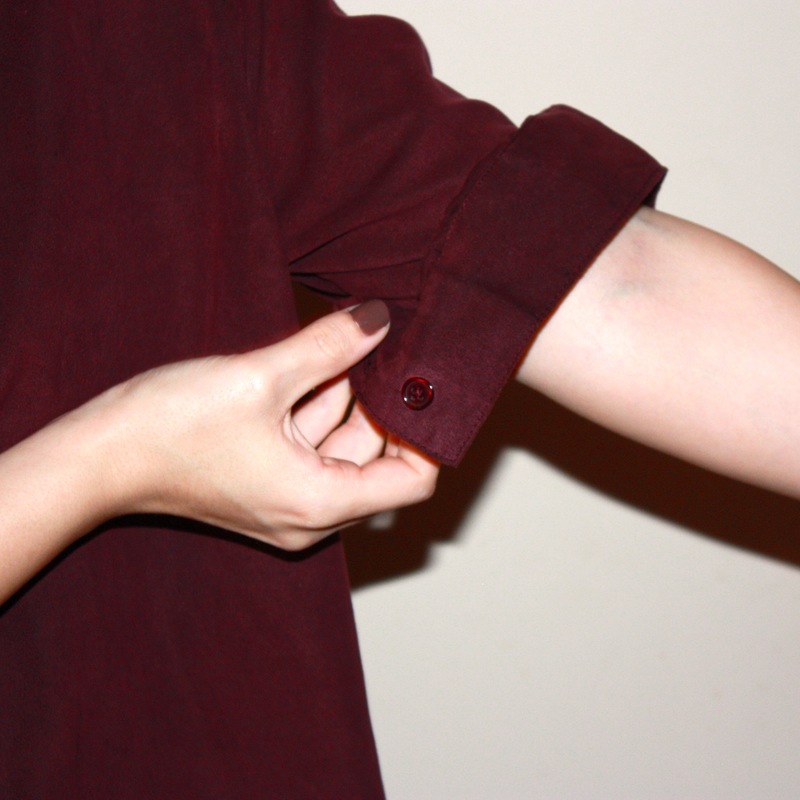 This part of the sleeve should flare and hang above your neatly rolled sleeve. Fold down what remains, tucking any remaining extra fabric into the rolled sleeve to make sure it stays secure and flares out a bit. And voila, a cool, cuffed sleeve. As you can see from the before and after, shortening the sleeve makes a huge difference in this look. Now throw on some black moto-jeans, heeled mules, and find a date. Hope you enjoyed today’s tutorial.